There is one step in your dental exam that can be a lifesaver—an oral cancer screening utilizing ViziLite Plus® technology. One American dies from oral cancer every hour. Virtually everyone is at risk. In fact, twenty-five percent of cases of oral cancer occur in people who don’t smoke and have no other lifestyle risk factors. Oral cancer is one of the most curable diseases when it’s caught early. 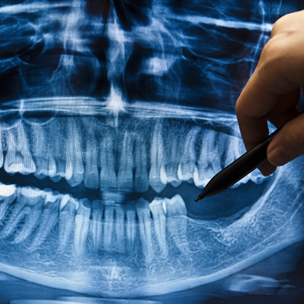 That’s why we perform an annual oral cancer exam in combination with your conventional dental exam. At the Warshauer & Santamaria dental office, our dentists use ViziLite Plus® technology, which has demonstrated effectiveness in identifying pre-cancerous and cancerous abnormalities. An annual ViziLite Plus® exam is quick and painless. You simply rinse with a cleansing solution and then we will examine your mouth using a specially designed light that can detect pre-malignant lesions and oral cancer. A few minutes once a year can go a long way towards helping ensure a long and healthy life. Feel free to contact us if you have any questions about ViziLite Plus® oral cancer screenings or to schedule an oral health consultation with one of our doctors.